"Cryptocurrencies, by contrast, have no backstop, no tether to reality. Their value depends entirely on self-fulfilling expectations – which means that total collapse is a real possibility. If speculators were to have a collective moment of doubt, suddenly fearing that Bitcoins were worthless, well, Bitcoins would become worthless. Will that happen? I think it’s more likely than not, partly because of the gap between the messianic rhetoric of crypto and the much more mundane real possibilities. That is, there might be a potential equilibrium in which Bitcoin (although probably not other cryptocurrencies) remain in use mainly for black market transactions and tax evasion, but that equilibrium, if it exists, would be hard to get to from here: once the dream of a blockchained future dies, the disappointment will probably collapse the whole thing. So that’s why I’m a crypto skeptic. Could I be wrong? Of course. But if you want to argue that I’m wrong, please answer the question, what problem does cryptocurrency solve? Don’t just try to shout down the skeptics with a mixture of technobabble and libertarian derp." "At the risk of veering into broad-based psychoanalysis, I think a lot of the Facebook skepticism is because so much of the content seems so shallow and petty, or in the case of the last few years, actively malicious. How can such a product survive? Earlier in the article: "“I want you to know how risky this is,” the son told his parents [in 1995, when they invested $245,573], “because I want to come home at dinner for Thanksgiving and I don’t want you to be mad at me.”"
"If they haven’t sold or donated anything else, the pair would own about 16.6 million shares, or 3.4 percent of the firm, making them the second-biggest individual owners after their son. Their total return in that case would be about 12,000,000 percent, a performance that would make even the most celebrated venture capitalists blush. SoftBank’s $20 million bet on Alibaba has returned about 720,000 percent since 2000, according to calculations by Bloomberg. Sequoia Capital’s WhatsApp investment returned roughly 36,000 percent by the time Facebook Inc. bought the messaging service for $22 billion in 2014." "If the name Harley Davidson conjures up images in your head of leather-clad biker gangs flying down a desert highway while spewing exhaust from their loud chrome pipes, then perhaps you’d better think again. As we reported earlier this summer, Harley Davidson is well on their way to debuting their first electric motorcycle which they are hoping will target a younger, more urban audience – a market with which the brand desperately needs to succeed. And now the company appears to be doubling down on that commitment by announcing a new lineup of electric motorcycles while simultaneously fleshing out their EV team with a string of new positions." ■ Undergo audits of their data and algorithms. ■ Be liable if they fail to take down illegal or damaging content. ■ Have a duty to identify and remove fake accounts. ■ Be subject to legislation demanding their transparency. Many of the 20 policy proposals put forward by Mr. Warner’s office are specific to the United States. For example, the paper proposed the United States adopt sweeping new privacy legislation similar to the European Union’s General Data Protection Regulation and provide the Federal Trade Commission with greater rule-making authority to protect the digital lives of consumers." "These days not only is the tech sector bigger, but more and more of the economy, in all sectors, is towered over by tech companies. Amazon is the nation’s most important retailer, not just one with a market value that’s $500 billion larger than the value of Walmart and Costco combined. Alphabet dominates the advertising industry, and even has a foot in the auto business with its self-driving car company, Waymo. Netflix is as much a part of Hollywood and the media landscape as any other company. And that’s where the growth is. Stock values are elevated these days in part because the profits of public companies tend to be growing faster than the rest of the economy, with profit margins at all-time highs. Facebook could be a canary-in-the-mine there. It also could prove to be an early indicator of how the government plans to deal with big tech’s dominance of information and media." "But the drive to be a crypto nexus also comes with significant risk. Hackings and scams have followed the industry everywhere it has gone. They have been aided by the underlying technology introduced by Bitcoin, known as the blockchain, which was built to make it possible to send money without requiring approval from government agencies or existing financial institutions. And the cryptocurrencies are hardly stable, with the prices of most having plunged in 2018 after skyrocketing last year. The use of cryptocurrencies by hackers was reinforced this month when the Justice Department announced charges against 12 Russian intelligence officers accused of hacking the Democratic National Committee and said they had principally used Bitcoin to fund their work." Later in the article: "Oh, and they’ll come with a free helmet, because you’ll probably want to wear a helmet." See this Segway page for more details. "Did you know Segway is making a pair of self-balancing roller shoes? It is! The company has been tinkering with all sorts of new form factors since it was acquired by Ninebot in 2015, from half-sized Segways to kick scooters. Next up: inline… shoe… platform things. Called the Segway Drift W1s, they sorta look like what would happen if you took a hoverboard (as in the trendy 2016 hoverboard-that-doesn’t-actually-hover “hover”board, not Marty McFly’s hoverboard), split it in two and plopped one half under each foot." "Facebook has made it clear that it wants to make video a crucial part of its business, as it looks to compete with the likes of YouTube, Amazon and Netflix. And, over the past few months, the company's been making changes to help it get there, launching new features aimed at making videos more social. One of those is Watch Party, an experimental tool introduced in January that lets members of Facebook groups watch videos together and simultaneously. That shared watching experience, which works with both live and pre-recorded videos, was only available to select users when it was first announced, but now Facebook is bringing it to every group worldwide. With more than 1.4 billion users per month, groups has become a core product for Facebook, and it intends to use Watch Party to keep even more people locked in and connected to those who share similar interests. Facebook says that it's heard from group leaders that Watch Party is perfect for people watching things like Q&A sessions and how-to tutorials about cooking, crafting, home improvement, playing an instrument and more. Back in April, the company said that nearly two billion people had watched Facebook Live broadcasts to date, demonstrating the potential for features like Watch Party -- especially since users who watch together can comment and add emoji reactions in real time." "This was familiar territory for Shotwell. The 54-year-old engineer has worked with Musk since SpaceX’s founding in 2002, longer than almost any executive at any Musk company. She manages about 6,000 SpaceX employees and translates her boss’s far-out ideas into sustainable businesses—whether it means selling customers on a rocket or telling them not to read too much into @elonmusk. She’s succeeded remarkably. In fact, SpaceX, the business, might be as impressive as SpaceX, the showcase for Muskian wizardry. The company is privately held—Musk owns a majority stake, alongside investors such as Google, Fidelity Investments, and Founders Fund—and doesn’t disclose revenue. But last year its workhorse Falcon 9 rocket reached orbit 18 times, more than any other launch vehicle in the world. SpaceX, which now has more than half of the global launch market, has signaled it would do about 30 launches in 2018, including at least one more Falcon Heavy launch later in the year. The company is worth $28 billion, making it the third most valuable venture-backed startup in the U.S., after Uber Technologies Inc. and Airbnb Inc."
"The report by Bruce Schaller, author of the influential study, “Unsustainable?”, which found ride-hail services were making traffic congestion in New York City worse, constructs a detailed profile of the typical ride-hail user and issues a stark warning to cities: make efforts to counter the growth of ride-hail services, or surrender city streets to fleets of private cars, creating a more hostile environment for pedestrians and cyclists and ultimately make urban cores less desirable places to live. Schaller concludes that where private ride options such as UberX and Lyft have failed on promises to cut down on personal driving and car ownership — both of which are trending up — pooled ride services have lured a different market that directly competes with subway and bus systems, while failing to achieve significantly better efficiency than their solo alternatives. The result: more driving overall." Some days are better than others... Tbd if the next FB rebound will be faster than the post-Cambridge Analytica recovery (less than two months); a NYT article notes "[...] through Wednesday’s market close, Facebook’s stock had gained 43 percent from its lows in the wake of the Cambridge Analytica scandal in March"
"For many of the world’s richest people, losing $16.8 billion in a day would be a wipeout. For Mark Zuckerberg, it’s just about a fifth of his net worth. His fortune tumbled in late trading Wednesday, as shares of the social media giant slid 20 percent in post-market trading in New York on disappointing results. If that holds through Thursday’s close, he will slide to sixth place from third on the Bloomberg Billionaires Index. It would also wipe his $13.7 billion of gains for the year, leaving him with just less than $70 billion." "General Motors announced the launch of a peer-to-peer rental program on Tuesday, allowing GM owners to list their personal vehicles to rent through the automaker’s car-sharing platform. Dubbed Peer Cars, the program lets Chevrolet, Buick, GMC and Cadillac owners put their cars and trucks up for rent when they aren’t using them. The company is touting the service as a way for GM customers to earn extra income. The service is an expansion of GM’s car-sharing platform, Maven, which rents out GM-owned cars, the company said. "Your car is one of the most expensive things you own. Sitting idle, it is a wasted asset,” said Julia Steyn, vice president of General Motors urban mobility and Maven. "Maven’s peer-to-peer offering is a smart way for owners to offset their vehicle investment.”"
"This is a huge deal, and it’s well past time for the tech companies to take a firmer stand against lies and harassment. Still, as they wrestle with the question of responsibility and where to draw the line on certain kinds of content, we should all get ready for a very rough ride. Here’s why: A mostly hands-off approach has been central to the tech platforms’ growth, allowing them to get to globe-spanning scale without bearing the social costs of their rise. But because they are now so influential — Facebook alone has more than two billion users — and so deeply embedded in our lives, a more hands-on approach to policing content will ripple around the world, altering politics, the media business and much else in society. It could also have the opposite effect than what many critics want: better policing their own content could actually increase the power that tech platforms have to shape our lives." The report highlights the urgent need for additional technical expertise to help civil society organizations protect themselves online, as most of the organizations currently providing support are based in North America and Europe and provide assistance primarily in the form of analysis and advocacy. The report suggests that new direct assistance models are needed that will, for example, tailor support to match the risks and capabilities of each organization’s context, provide long-term support and partnership, and document and distribute lessons learned to inform the broader ecosystem of politically vulnerable organizations around the world. To address this challenge, the UC Berkeley Center for Long-Term Cybersecurity is developing a new technical assistance model dedicated to supporting civil society organizations’ cybersecurity; more information about this initiative will be available soon." "Facebook Inc. was pummeled by public criticism over privacy issues during the second quarter, spurring an unprecedented appearance in the U.S. Congress by Chief Executive Officer Mark Zuckerberg. Don’t expect to see much evidence of that turmoil in Facebook’s earnings report on Wednesday. The social media giant is expected to post record revenue and users in the quarter, thanks in part to the photo-sharing app Instagram, according to analysts. The business, acquired for $715 million in 2012, now has more than 1 billion users and is a big reason Facebook’s advertising machine is still growing. "Most importantly, this narrative absolves us of the hard things we have to do to win back the world’s trust. It would be really simple to believe that the outcomes of arguments between a handful of people got us to this point, but the truth is that we need to all own this. The problem the company is facing today are due to tens of thousands of small decisions made over the last decade within an incentive structure that was not predicated on our 2018 threat profile. While it has been disconcerting to hear anger and sadness in the voices of our colleagues this week, I also take heart in how widespread our desire has become to align ourselves in the new landscape. I saw this shift in many executives last year, as they clearly recognized the emerging imperatives to prioritize security, safety, integrity and trust over all else, but no number of all-hands or corporate goals was going to be able turn this huge ship without a bottom-up change in culture. So now we need to turn that angst into action. We need to change the metrics we measure and the goals we shoot for. We need to adjust PSC to reward not shipping when that is the wiser decision. We need to think adversarially in every process, product and engineering decision we make. We need to build a user experience that conveys honesty and respect, not one optimized to get people to click yes to giving us more access. We need to intentionally not collect data where possible, and to keep it only as long as we are using it to serve people. We need to find and stop adversaries who will be copying the playbook they saw in 2016. We need to listen to people (including internally) when they tell us a feature is creepy or point out a negative impact we are having in the world. We need to deprioritze short-term growth and revenue and to explain to Wall Street why that is ok. We need to be willing to pick sides when there are clear moral or humanitarian issues. And we need to be open, honest and transparent about challenges and what we are doing to fix them." "Vaidhyanathan: Here is the nightmare scenario for Facebook that could bring them down. And it’s a worse situation than we have now. [Dominant Chinese social network] WeChat goes global. It bursts out of the confines of [China] and its diaspora and there is a functional version in 20, 50, 100 languages. Facebook could be in big trouble because WeChat does everything. WeChat is the operating system of a billion users. If you’re in China, you must use WeChat, almost everybody does. If you’re in China and you use WeChat, you are checking out library books, making doctor’s appointments, buying fast food. WeChat does what Facebook does and what Twitter does and what Instagram does and what your banking app does. Each of us has like, 60 apps on our phones and we use like, 7 of them. In China, you really only need the one. What will then happen is that Facebook will double down on becoming the operating system of our lives. It will bolster the ways that its various functions work together. Instagram would be folded into Facebook and WhatsApp will be folded into Messenger. You can see Messenger looking more like WeChat all the time. If Facebook gets into China, it’ll introduce Messenger first. Facebook breaks down and gives authoritarian states information about us and WeChat romps around the world, giving that information to the government of China. So, in that perverse way, serious competition for Facebook is a far worse scenario than we have now." "Facebook, Google, Microsoft, and Twitter have jointly announced an open source project named the Data Transfer Project. The project creates a service-to-service data portability platform. The goal of the project is to empower users to easily move data across online service providers. The companies pitch the Data Transfer Project as a key to innovation in the next generation of compute. "The contributors to the Data Transfer Project believe portability and interoperability are central to innovation," the Data Transfer Project homesite says. "Making it easier for individuals to choose among services facilitates competition, empowers individuals to try new services and enables them to choose the offering that best suits their needs."" "In the early 2000s, Microsoft and their illegal monopoly was the specter that loomed over every discussion of the personal-computing market. But notice how distant these concerns seem given the emergence of the mobile-phone market—a market that was blown wide open by a mid-sized tech company that invented a disruptive handheld device called the iPhone. Similarly, recall how file-sharing and torrent sites were the crisis du jour of the late 1990s. It wasn’t the giant fines slapped on Napster that ended the mainstream practice of file sharing: Instead, it was the emergence of streaming companies like Spotify that made paying for music a superior experience to illegal downloads. Neither of these innovations could have been foreseen by regulators, but they could have been stunted before they even had a chance to thrive. This is often the problem with drastic regulatory overhauls: While it’s easy to imagine how new laws will affect existing companies, their biggest victims are the invisible ones who never have a chance to get started in the first place. Because regulations that increase overhead for new companies have the potential to stifle innovation for decades into the future, such laws must be enacted with care." Later in the article: "The Indian government, parties of which themselves are big WhatsApp users, has remained vague on what sort of access it is looking for." "“There is a need for bringing in traceability and accountability when a provocative/inflammatory message is detected and a request is made by law enforcement agencies,” the government said Friday. “When rumours and fake news get propagated by mischief mongers, the medium used for such propagation cannot evade responsibility and accountability. If they remain mute spectators they are liable to be treated as abettors and thereafter face consequent legal action,” it added. India is WhatsApp’s largest market, with more than 250 million users. The country is struggling to contain the spread of fake news on digital platforms. Hoax messages and videos on the platform have incited multiple riots, costing more than two dozen lives in the country this year alone. Allowing message tracing, though, would likely undo the privacy and security that WhatsApp’s one billion users worldwide expect from the service." "Less than a week after the European Union fined Google a record $5.1 billion for abusing its dominance in the smartphone market, Google’s parent company, Alphabet, said on Monday it had already absorbed the cost of the fine and still made $3.2 billion in profits in its latest quarter. Alphabet’s stock rose 3.5 percent in after-hours trading, and some analysts recommended the company’s shares. With the regulatory issue settled, they said, Google could get back to focusing on selling ads across the internet. “It’s like a delivery company having to pay for a parking ticket,” Brian Wieser, a Pivotal Research analyst, said of the penalty, which Alphabet accounted for in the second quarter. “It’s not a meaningful fine in the context of the size of this company.”"
"Facebook’s plan to launch a new internet satellite may sound ambitious, but it’s not out of character. The company has long expressed an interest in connecting the billions of people around the world who lack access to an affordable, quality internet connection, though not always without controversy. In 2013, the social network announced Internet.org, a grand, multipart initiative designed to connect those without internet access. Its best-known—and most contested—program, Free Basics, offers people in over 60 countries free access to some websites, including Facebook. Critics complained that Free Basics created a two-tiered internet, further exacerbating the digital divide between developed and developing nations. India eventually outlawed the program in 2016. Another part of Internet.org is the Connectivity Lab, a research group for developing new technology to facilitate internet access, including satellites. The lab launched a satellite designed to provide internet in Africa on a SpaceX rocket in 2016, but the instrument was destroyed when the rocket blew up. That satellite, however, was set to be launched into geosynchronous transfer orbit—much higher than the lower-orbit Athena satellite Facebook is now developing." "The CEO of Twitter has admitted the platform is no longer a place where nuanced or thoughtful discussion can take place, after a leading American political reporter quit the “anger video game” after constant attacks. Jack Dorsey, who co-founded the social media site in 2006, said the company needed to fundamentally “focus more on conversational dynamics within Twitter”, after the New York Times’ Maggie Haberman slammed the platform’s increasing toxicity. “We haven’t paid enough consistent attention here,” said Mr Dorsey. “Better organisation, more context, helping to identify credibility, ease of use.”"
Schneier believes it’s only a matter of time before hackers cause fatal accidents by seizing control of Internet-connected cars, or kill people directly by causing malfunctions in Internet-connected medical devices like pacemakers. An enemy state or terrorist organization might manage to hack thousands of such devices, with catastrophic results. There’s only one hope of preventing such a disaster, Schneier said — government-mandated standards for all Internet-connected devices, to ensure that they meet basic safety standards and can be easily upgraded to compensate for newly discovered security flaws." "To be clear, Twitter is a useful and important platform. It’s a good aggregator for breaking news. I still check my feed to see breaking news developments, and I will continue to. And it is democratic — everyone gets to have a voice, whether they work for a local paper, a small TV station or one of the biggest newspapers in the world, or are not in the media business at all. The downside is that everyone is treated as equally expert on various topics. Across Twitter, there’s a raging debate about the role that journalists should be playing in the current moment. It is mostly waged by partisans who want to accuse journalists of malpractice or who want us to be the “opposition party,” as Mr. Trump has claimed. There is an important discussion about journalism that must take place, including about how all of us performed during the 2016 campaign, but Twitter is not where a nuanced or thoughtful discussion can happen." "Microsoft posted the fourth quarter of its 2018 financial results today, reporting revenue of $30.1 billion and net income of $8.9 billion. Revenue has increased 17 percent year over year, and net income is up an impressive 35 percent. Microsoft’s Office and cloud offerings continue to fuel the company’s growth, but both the Surface and gaming businesses are up this quarter, too. Surface revenue has jumped 25 percent year over year this quarter to $1.1 billion, “driven by strong performance of the latest editions of Surface” says Microsoft. The billion dollar target was important this quarter, as it means Surface has now ended the financial year as a billion dollar business. Microsoft recently unveiled the new Surface Go, but the smaller 10-inch tablet doesn’t go on sale until next month. Microsoft has relied on existing Surface devices to fuel growth this quarter, as the company has not yet launched refreshed models this year." "Lethal autonomous weapons systems can identify, target and kill without human input, according to the Future of Life Institute, a Boston-based charity that organized the pledge and seeks to reduce risks posed by AI. The organization claims autonomous weapons systems do not include drones, which rely on human pilots and decision-makers to operate. According to Human Rights Watch, autonomous weapons systems are being developed in many nations around the world — “particularly the United States, China, Israel, South Korea, Russia and the United Kingdom.” FLI claims autonomous weapons systems will be at risk for hacking and likely to end up on the black market. The organization argues the systems should be subject to the same sort of international bans as biological and chemical weapons. FLI has even coined a name for these weapons systems — “slaughterbots.”"
Limiting the rate at which people can forward messages won’t solve the problem, of course, but WhatsApp hopes it will slow down the viral impact that social networks have become known for. Facebook’s fake news problem isn’t just causing violence in India. The rapid spread of misinformation online, often over WhatsApp, has also resulted in killings in countries like Myanmar and Sri Lanka." Other teams, including Alexa, Prime Now and Twitch, also reported problems, while some warehouses said they weren’t even able to scan products or pack orders for a period of time." "Here’s what’s already known about Fuchsia: Alphabet Inc.’s Google started quietly posting code online in 2016, and the company has let outside app developers tinker with bits of the open-source code. Google has also begun to experiment with applications for the system, such as interactive screen displays and voice commands for YouTube. According to one of the people, engineers have said they want to embed Fuchsia on connected home devices, such as voice-controlled speakers, within three years, then move on to larger machines such as laptops. Ultimately the team aspires to swap in their system for Android, the software that powers more than three quarters of the world’s smartphones, said the people, who asked not to be identified discussing internal matters. The aim is for this to happen in the next half decade, one person said." "The Wall Street Journal’s Timothy Martin reports that Samsung’s highly anticipated foldable phone will arrive early next year with a flexible 7-inch screen and a secondary display bar on the exterior of the device. It’ll be interesting to see how this pans out. The Korean hardware conglomerate is also believed to be working on curved batteries for this upcoming device, along with flexible OLED displays. The latter should come easy to Samsung, seeing as how it’s the leading supplier of this type of screen tech worldwide." "Big Blue reported non-GAAP second quarter earnings of $3.08 a share on revenue of $20 billion. Wall Street was expecting IBM to deliver non-GAAP second quarter earnings of $3.04 a share on revenue of $19.85 billion. IBM delivered its second consecutive quarter of revenue growth following a solid first quarter. Hardware, led by IBM Z systems, delivered the strongest revenue growth in the quarter." "Gruber, along with Dag Kittlaus and Adam Cheyer, cofounded Siri Inc, the company which created the original Siri app and which Apple purchased in 2010 for $200 million. Siri was introduced in the iPhone 4s the following year, with its then-unique combination of speech recognition and “assistant” features wowing critics. The honeymoon period lasted a few years, but Siri has since lost ground to rivals like Amazon’s Alexa and Google Assistant. Kittlaus and Cheyer left Apple years ago and founded Viv Labs; another digital assistant startup that was bought by Samsung in 2016 to help shape its Bixby functionality. Gruber, meanwhile, became head of Siri’s Advanced Development Group. According to The Information, he will be leaving the company to pursue “personal interests in photography and ocean conservation.” The same story also noted the departure of Apple’s head of search, Vipul Ved Prakash, who joined the company in 2013 with the acquisition of his company Topsy, which was integrated into Spotlight to search the web and social media." "Zuckerberg said if people flag posts as potential hoaxes, Facebook will send the content to fact-checkers who can verify the claims. If the posts are false, Facebook will “significantly reduce the distribution of that content” in the News Feed, he said. “Reducing the distribution of misinformation — rather than removing it outright — strikes the right balance between free expression and a safe and authentic community,” Facebook said in a statement Wednesday. The company said that in coming months it will change its policies to allow the social network to remove certain types of misinformation that contribute to physical harm." Facebook has been roundly criticized over the way its platform has been used to spread hate speech and false information that prompted violence. The company has struggled to balance its belief in free speech with those concerns, particularly in countries where access to the internet is relatively new and there are limited mainstream news sources to counter social media rumors." There can be only one true "Trump TV..."
"Things in Washington just keep going Rupert Murdoch’s way. The 21st Century Fox Inc. chairman stands to be a big winner after rival Sinclair Broadcast Group Inc.’s plan to buy Tribune Media Co. was thrown into jeopardy on Monday. Ajit Pai, the chairman of the Federal Communications Commission, questioned the legality of the deal and proposed a hearing that could kill it. The sudden setback for Sinclair is the latest evidence of Murdoch enjoying a hot streak in the nation’s capital. Since the 2016 presidential election, the billionaire has forged close ties with President Donald Trump. The president’s administration has recently made a series of decisions that could benefit Fox’s business or thwart its competitors. A spokesperson for Fox declined to comment." "In this 90-minute interview we talked about a range of things, from news to data to privacy to China to his political ambitions. As you will hear, Zuckerberg can cling closely to talking points, but he also did reveal more than he has about this annus horribilis for him and, well, the rest of us. While many are justifiably angry at him and at Facebook, I decided to not strafe the billionaire entrepreneur. I tried instead to engage him in a conversation about how he has mishandled his growing power and responsibility and what he planned to do about it. I think the interview gives a picture of an earnest and canny tech leader who is also grappling with the darker side of his creation. At one point, I asked him who was to blame and who should pay the price for the Cambridge Analytica controversy and he rightly named himself, as the person who invented Facebook. “Do you want me to fire myself on this podcast?” Zuckerberg joked. Spoiler alert: He did not." "Walmart has found itself a fairy godparent in Microsoft. The two companies have teamed up to "further accelerate Walmart's digital transformation in retail," and Microsoft chief Satya Nadella told The Wall Street Journal that their shared rivalry against Amazon is "absolutely core" to their partnership. Over the next five years, the retail giant will expand its use of Microsoft's cloud solutions, including Redmond's Amazon Web Services competitor Azure. While their announcement didn't specifically mention it, a Reuters report in June said Microsoft is developing a cashier-less technology powered by Azure that works just like Amazon Go. The report also said that the tech giant is already in talks with Walmart to take the tech for a spin." "This year, we’ve announced major expansions to our global cloud infrastructure, which helps us provide high quality services to our customers. We introduced new cloud regions in the Netherlands, Montreal, Finland, and opening just yesterday, Los Angeles. We invested in three consortium subsea cables--Havfrue, HK-G, and JGA-S. And we we became the first major non-telecom company to build a private intercontinental cable with our investment in the Curie cable. Today, we’re announcing our newest private subsea cable project: Dunant. This cable crosses the Atlantic Ocean from Virginia Beach in the U.S. to the French Atlantic coast, and will expand our network--already the world’s largest--to help us better serve our users and customers. The Dunant cable is expected to become available in late 2020." "The world’s biggest social network said it would recruit high-profile engineers and expand its AI-research division to roughly 170 scientists and engineers across eight global offices, including Paris, Pittsburgh, Montreal, London and Tel Aviv. The expansion of the international labs and new academic partnerships will be devoted to the study of robotics, virtual animation, learning machines and other forms of AI. Yann LeCun, Facebook’s chief AI scientist and an early machine-learning architect, said the expanded research effort was pushed by Facebook leaders such as CEO Mark Zuckerberg. “AI has become so central to the operations of companies like ours, that what our leadership has been telling us is: ‘Go faster. You’re not going fast enough,’ ” LeCun said." "It’s official: President Trump is the single biggest political advertiser on Facebook. Mr. Trump and his political action committee spent $274,000 on ads on the social network since early May, outpacing the second-biggest spender, Planned Parenthood Federation of America, a nonprofit organization that provides reproductive health care. Planned Parenthood spent just over $188,000 on Facebook ads over the same period. The ads bought by Mr. Trump and his PAC were also seen the most by Facebook’s users, having been viewed by at least 37 million people since May. That compared with 24 million people who saw the second-most viewed group of political ads, which were also from Planned Parenthood." "The EU’s decision would bring the running total of Google fines to about 6.7 billion euros after last year’s penalty over shopping-search services. It could soon be followed by more fines from a probe into online advertising contracts. The European Commission fine exceeds last year’s then-record 2.4 billion-euro penalty following an investigation into Google’s shopping-search service. Google owner Alphabet Inc. and the commission both declined to comment on the Android fines. Although the fine is a record, Alphabet generated about the same amount of money every 16 days in 2017, based on the company’s reported annual revenue of $110.9 billion for the year." "The channel will kick off with two shows. One is live news coverage hosted by video reporter Libby Casey, starting July 16 with a livestream covering President Trump’s meeting with Russian president Vladimir Putin, with the frequency to be determined by the news cycle. The other is a series starting July 19 called “Playing Games with Politicians” where political reporter David Weigel will interview prominent politicians (Rep. Matt Gaetz, Sen. Corey Booker and Rep. Suzan DelBene are confirmed for the first season) while they play video games. The Post had been watching Twitch for a while because it has a big, untapped video audience. Per the platform, it has 15 million daily active users and it reportedly has 1 million views at any given time. (Twitch is also owned by Amazon, which happens to share an owner with The Washington Post.) Its decision to launch a channel was validated when it broadcast Mark Zuckerberg’s hearings on Capitol Hill in April and got 380,000 viewers the first day and 1.5 million views in all on its top clip that day. For comparison’s sake, the top channel on Twitch Friday afternoon was Fortnite, with just over 200,000 live views." "While other companies are working on similar AR apps and even glasses, Apple’s historical track record suggests they could be the one that defines and refines this “next” computing experience for the masses via AR, the iPhone, and AR or mixed reality glasses. Apple’s iPod was not the first MP3 player in the market, but it became the best and dominated this market for over ten years. Apple did not bring out the first smartphone, but the iPhone redefined what a smartphone should be, and Apple is a dominant player in smartphones that also brings in over 50% of all smartphone revenues. The iPad was not the first tablet, but it is still considered the best and brings in the most revenue of any tablet maker in the market today. However, as Apple moves to deliver their “next” version of man-machine interfaces with smart glasses, they most likely will deviate from the competition in one significant way. Most vendors I talk to believe all of the intelligence for intelligent glasses needs to be integrated into the headset or glasses themselves. The problem is that this makes these glasses bulky and heavy and makes a person look like a dork. I believe Apple’s strategy will have the iPhone serve as the CPU and brains behind these glasses and feed the data and AR content to what I call “skinny” glasses, which would be Apple’s “next” significant way they will drive the future of personal computing. By using a future iPhone designed and tuned to deliver rich AR content to a set of smart glasses wirelessly, Apple would allow their glasses to be light and most likely look like a regular pair of glasses. It will need special optics as well as a small battery, but all of the processing and content shared through the glasses will come from an iPhone." Perhaps Prodigy finally has a net-positive ROI -- earlier in the article: "IBM lawyer John Desmarais told a jury in federal court in Delaware that Groupon infringed patents describing foundational e-commerce technology that had already been licensed to Amazon Inc, Facebook Inc and Alphabet Inc’s Google for between $20 million and $50 million per company." "Two of the four patents at issue relate to Prodigy, a late-1980s forerunner to the internet, developed by IBM and others, that describe a system for showing applications and advertisements that reduces server loads. IBM also said it patented so-called “single sign on” technology that allows consumers to log in to a retailer’s website with their Facebook or Google account. Desmarais told jurors IBM is a prolific innovator and seeks to license its patents on reasonable terms. IBM had no choice but to sue Groupon after it refused to negotiate a licensing deal, he said." "Netflix said it added 5.2 million subscribers in the three months to the end of June, the same number it did during the period last year. The streaming service had forecast growth of 6.2 million. The decline in share price follows a successful run for the stock, which had roughly doubled so far this year. The firm's shares ended Monday's trading session at about $400, but tumbled by 14% after the market closed as investors digested the firm's quarterly results." "Prime Day, which Amazon created four years ago, has grown rapidly in recent years and now brings in billions in sales for the company. On Monday, the sale kicked off at 3 p.m. – and almost immediately crashed Amazon’s website and mobile app for about 45 minutes. “UH-OH,” said a message on the company’s app. “Something went wrong on our end.” Amazon said it was trying to fix the problem. The Prime Day computer glitch – which appeared to be the most widespread to date – and worker strikes added up to a spate of bad news for the online giant, which has been heavily promoting its discount event for weeks." "The Sinclair Broadcast Group’s plan to create a broadcasting behemoth that could rival Rupert Murdoch’s Fox News was dealt a potentially crippling blow on Monday by the chairman of the Federal Communications Commission. Sinclair, already the largest owner of local television stations in the United States, is seeking to buy the rival Tribune Media for $3.9 billion. The F.C.C.’s chairman, Ajit Pai, said Monday that he had “serious concerns” with the acquisition and was seeking to have a judge review aspects of the deal." "In January, a Bitcoin mining computer labelled Kodak KashMiner was on display on Kodak's official stand at the CES technology show in Las Vegas. But critics labelled it a "scam" and said the advertised profits were unachievable and misleading. Now the company behind the scheme says it will not go ahead. Kodak told the BBC it was never officially licensed." "The last few weeks in Russia, however, have highlighted a much more significant technological shift, a real-world innovation that has far-reaching ramifications for all of us. The defining image of this World Cup is fans from all over the planet, hosts and visitors alike, holding their cellphones out to each other to conduct conversations in languages they have never learned and would never claim to speak. This has been the Google Translate World Cup. Across Russia for the last month, fans (and journalists) have used translation apps for everything: asking for directions, chatting with taxi drivers, getting slightly nerve-racking haircuts, checking into hotels, making friends, even flirting. The app’s camera function — which can scan and translate text — has allowed visiting fans to decode menus, decipher signs and read the names of subway stations, even if the Cyrillic alphabet remains a mystery to them." "The Guccifer 2.0 and DCLeaks suspensions prompted criticism from Clinton supporters who said Twitter was doing too little, too late. “Every campaign and media outlet needs to think long and hard about how their actions may make them accessories to a foreign attack on our democracy,” Mook told The News. “This will happen again and all of us — all sides and parties — will be tested.”"
"On Friday, company president Brad Smith urged lawmakers in a blog post to form a bipartisan and expert commission that could set standards and ward against abuses of face recognition, in which software can be used to identify a person from afar without their consent. Smith’s announcement comes amid a torrent of public criticism aimed at Microsoft, Amazon and other tech giants over their development and distribution of the powerful identification and surveillance technology — including from their own employees." "The Russians also used Bitcoin to pay for the servers from which they launched malware campaigns and “spearphishing” attacks against the Democratic National Committee, according to the indictment. In those attacks, it said, the Russian operatives gained control of the email accounts of American officials. “The fact that cryptocurrencies are global and real time means that you might only find out about these things after the fact,” Mr. Levin said. “We need to think about the responsibilities that we all have in a world where payments move seamlessly across borders in the blink of an eye.”"
“We didn’t really have genuine community control, and we didn’t get very much work done,” he wrote. The relaunch is not just in style, but in concept. “The push is to turn over genuine control to the community, to let people work live without a net. It’s about trusting you, and it’s about welcoming you.” A new front-end editor was rolled out this week, making it easier for anybody to hop in and start editing. “I realized that I built Nupedia again — too top-down, too restrained, not trusting enough,” Wales told me in a Slack DM last month. (Nupedia was the predecessor of Wikipedia, but it required a seven-step, editor-driven approval process for any updates to any of its content; in its three years of operations, only 25 fully approved articles were actually published.) “I should have known better, but hey, at least this time it only took me a year to realize it — last time it took two.”"
"The discovery and suspension of the local accounts suggests two things as investigators continue to build their understanding about Russia's campaign of active measures against the United States and the West. First, that the Russian misinformation project was a years-long effort, one that wasn't simply focused on the 2016 election but on destabilizing the United States over an extended period of time. "The Russians are playing a long game. They've developed a presence on social media. They've created these fictitious persons and fictitious organizations that have built up over a period of time a certain trustworthiness among people that follow them," said Rep. Adam Schiff, the top Democrat on the House intelligence committee. Second, the failed effort to create local news accounts also says something about how Americans trust local news sources more than national news — and how the Russians evidently knew about that vulnerability." ""Traditionally China has relied on coal, but in the past several years renewable energy has grown dramatically and is starting to take away part of coal’s market share — and with a strong push from China’s government," Sandalow said. Thanks to those efforts, China last year installed more solar panels than the rest of the world combined and led the world in wind and hydro-power. China may be a receptive market for incubating renewable energy initiatives, but for smaller companies with limited resources, transitioning to clean energy can be challenging. Apple hopes the scale of the China Clean Energy Fund will give fund participants greater purchasing power to pivot toward clean energy." "Dealing with these trade-offs might be NoSQL’s greatest contribution to the database world. It forced an evolution, combining the best of the big data capabilities with the structure and flexibility of the proven relational model to produce a scalable relational database. Relational databases evolved to create an entirely new generation of systems that can handle nearly all of the workloads, with the scalability, reliability, and availability requirements that modern applications demand. From traditional workloads such as transactional applications and business analytics, to newer workloads such as multi-tenant services and operational analytics. The rise of new databases such as Google Spanner, Azure Data Warehouse, and our eponymous database, MemSQL, have proven that, for the majority of use cases, relational databases are easier to use and generally perform better than the NoSQL systems. I know this might be controversial. I also know that you might quickly dismiss my perspective as biased. But let me break down the history, architecture, and applications of these databases, then judge for yourself." "Like other marketplaces — think Airbnb and Amazon — Uber brings together supply and demand. Demand comes from consumers wanting to go from A to B. Supply comes from drivers giving rides in their own cars. If you have a lot of demand, it’s relatively easy to build out new supply. So when Uber bought Jump, the bike-sharing startup, it signaled the beginning of the end of Bird and Spin. Why? Because Uber already won the ride-sharing wars and now has a dominant source of demand for mobility solutions. When you combine this advantage with the lessons Uber learned from its first fight, the only hope for the scooter companies is an anti-Uber backlash — or to be bought by Uber. That is why Uber’s deal with Lime — the ride-hail giant is investing in Lime in a new $335 million round that values the electric scooter company at $1.1 billion — is so important. It is likely the first step toward an eventual acquisition." "During the trial the Justice Department argued that the merger could raise prices for consumers and for the companies' rivals, to the tune of hundreds of millions of dollars a year. In response, AT&T said that the deal would actually lead to lower prices for TV viewers. Soon after the deal closed, AT&T announced a price increase for DirecTV Now, the company’s online streaming video service. The company said it was increasing rates to bring the product in line with the rest of the market. But it is unclear how that price hike could affect the litigation. Some analysts said it could reflect negatively on judge Richard Leon’s analysis of the case and possibly benefit the Justice Department. The agency did not respond when asked whether the price changes contributed to its decision to appeal." "Beginning today, Teams is available in a free version worldwide in 40 languages. Whether you’re a freelancer, a small business owner, or part of a team inside a large organization, you can start using Teams today. Ability to communicate and collaborate with anyone inside or outside your organization, backed by Microsoft’s secure, global infrastructure." "Magic Leap’s first “spatial computing” mixed reality headset, the Magic Leap One Creator Edition, is shipping this summer. The company announced the news in a live stream today, narrowing down a previous statement that it would ship this year. It’s following up on an announcement from this morning, when AT&T revealed that it would be the exclusive US carrier partner for Magic Leap. 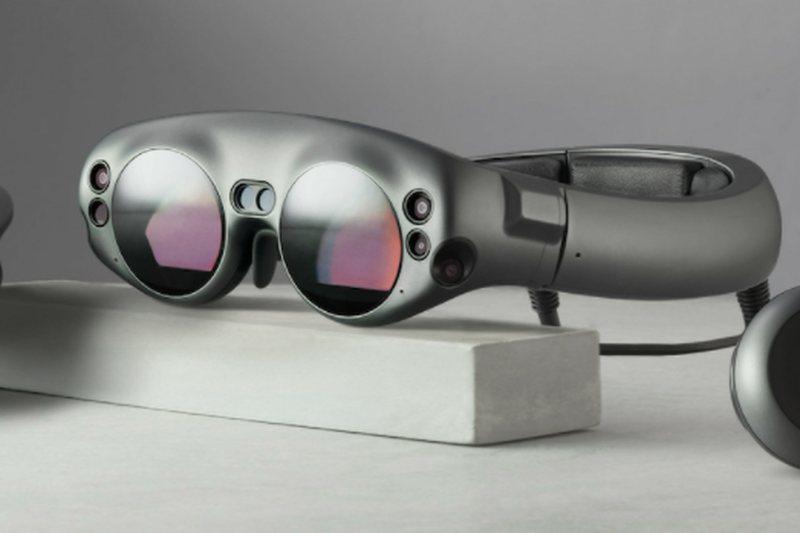 However, Magic Leap still hasn’t confirmed an exact date or a price, although the company has previously said it would cost at least as much as a high-end smartphone. Magic Leap has been slowly pulling back the veil on its headset. On its stream today, it revealed a few specifications on the headset, like the fact that it will use an Nvidia Tegra X2 processor. The stream also showed an an actual experience: a tech demo known as Dodge, where users have to dodge or block shots from a rock-throwing golem." "This acquisition doesn’t offer any immediately obvious “commercial synergies” - overlaps that let the new management play The Hunger Games with engineers working on duplicate projects - but rather propels Broadcom into an entirely new market. The two have this in common: their appetite for acquisitions (at its 2018 financial presentation CA highlighted its latest strategic buys, application security company Veracode and devops automation outfit Automic). Apart from that, enterprise software has nothing much in common than silicon chips. The stock announcement doesn’t mention management arrangements, but it’s likely that CA will form the basis of a new business unit under Broadcom, since there’s no obvious division to roll it into." Of course, quick acceleration isn’t unique to the Model 3; it’s true of all electric cars. But the fact that there even is a market for these vehicles is to a large extent Musk’s doing. He set out to teach the world that consumers would pay for zero-emissions cars in huge numbers. Whatever happens to Tesla, he’s succeeded in that. Tesla is, as Musk says, “a real car company.” That’s glorious, and it’s also hell." "The reform takes aim at a pervasive form of social media fraud. Many users have inflated their followers on Twitter or other services with automated or fake accounts, buying the appearance of social influence to bolster their political activism, business endeavors or entertainment careers. Twitter’s decision will have an immediate impact: Beginning on Thursday, many users, including those who have bought fake followers and any others who are followed by suspicious accounts, will see their follower numbers fall. While Twitter declined to provide an exact number of affected users, the company said it would strip tens of millions of questionable accounts from users’ followers. The move would reduce the total combined follower count on Twitter by about 6 percent — a substantial drop." "Loon and Wing are not the first projects to get their diplomas from X (and, yes, employees get actual diplomas). Verily, a life sciences outfit with plans to monitor glucose levels with contact lenses, made the leap in 2015. And lo, the self-driving effort made the leap in December 2016, taking on the name Waymo. Cybersecurity project Chronicle ascended to autonomy in January. The dual graduation of Loon and Wing—both big, ambitious, projects—marks a watershed for X and perhaps the moment when the secretive research and design division starts to make good on its mission. For the technological giant that has made its billions in advertising, X isn’t a junk drawer for unusual projects that don’t fit elsewhere in the corporate structure. It’s a focused attempt to find a formula for turning out revolutionary products that don’t just sit on a screen but interact with the physical world. By launching Loon and Wing into the world, X will soon discover whether it can effectively hatch new Googles—and put Alphabet at the head of industries that don’t yet exist. But Alphabet’s attempt to birth the next generation of moonshot companies raises two questions. Can this behemoth grow exponentially? And do we want it to?" "Videos of tests conducted in the swimming pool of Palisades Charter High School, about 20 miles from SpaceX headquarters, showed divers towing the pod through the water, lifting it out and depressurizing it. An engineer who had been riding inside then emerged from the tight space. He appeared to have just enough room to fit while lying down with his arms folded over his chest. The aluminum pod followed earlier rescue ideas Musk suggested, including using an inflatable tube or air sock, and another type of pod made from Kevlar. Musk tweeted on Monday that the pod was “ready if needed” and that he would leave it in Thailand “in case it may be useful in the future.” With some modifications, the project could come in handy on a future rocket mission, Musk wrote. “This could also work as an escape pod in space.”"
According to Lanier, Trump’s election has shaken the social media companies out of their complacency. The subsequent scandal surrounding Cambridge Analytica’s abuse of Facebook data has further rattled Silicon Valley and left the sector open to outside thinking. “I’m still considered a bit of an outlier, and my ideas might be somewhat radical but they’re definitely treated as a normal part of the conversation now.”"
"In 1996, as the World Wide Web was taking off, Larry Page and Sergey Brin watched from the sidelines. Unlike the rest of Silicon Valley, they weren’t interested in using the Internet to buy and sell stuff, or to read and publish stories, or even to score Grateful Dead tickets. They wanted to use it, rather, to get their doctorates. The Web was the uncharted frontier of computer science, and Page and Brin were hardly interested at all in the Web’s content—what they wanted to understand was its shape. As such, Google, in its capitalist incarnation, was kind of a mistake—an accidental by-product of graduate-student whimsy and curiosity and preposterous dreams. The company itself was almost literally founded at Burning Man, which is apt, because the true point of Google was always to get as far-out as possible: to build cars that drove themselves, an elevator that could reach into outer space, even someday (a day that seems to be approaching rather quickly) a true, general artificial intelligence." "Showcasing more local news, starting with the U.S. Many people want, value, and trust local news. And when a major event happens, local reporters are often the first on site to capture events as they unfold. We’ve begun testing features that surface local news in the YouTube app for TV screens across 25 media markets around the United States, making it easy to access local news in the living room--our fastest growing screen. So far, local news has seen strong engagement, and we will be expanding it to dozens more markets like Cincinnati, Las Vegas and Kansas City."